Make this book available to impressionable young minds! 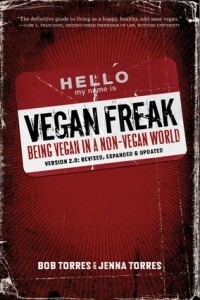 You’ve probably heard of the book, Vegan Freak: Being Vegan in a Non-Vegan World, by Bob and Jenna Torres. In not, you should know that, not only is this book full of accessible tips and tricks for going vegan, and embracing your veganism once you’re already there, but it is written in a cool, relatable way — as if you’re sitting at your family’s Thanksgiving meal and your awesome older cousin is imparting her values to you. Just imagine if impressionable students were privy to your cool (vegan) cousin’s advice. That’s basically what Evolve for Animals is gunning for. 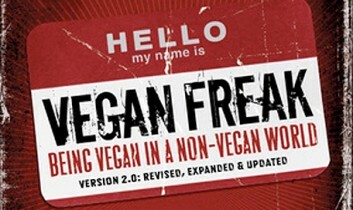 Their aim is to obtain copies of Vegan Freak and get it widely distributed at college campuses, high schools, and public libraries. They are asking us to join them on Facebook, donate whatever we can, and help get Vegan Freak to the 16-25 year-old age bracket, a highly influential demographic frequently ready to answer critical questions about the world. 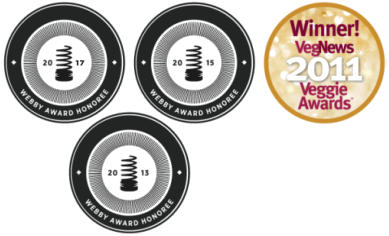 Beyond just supporting the Vegan Freak book drive, or buying a bunch of copies of your own favorite AR book and donating them, there are so many other ways to spread veganism — and educate people about its underlying issues — in easy and effective ways, using the power of the bound book. This campaign reminds me of what a no-brainer it is to donate your old AR books — whether to schools, libraries, community centers, yadda yadda. Note to self, actually, since I have this compulsively strong, and somewhat irrational, attachment to my absurdly large AR book collection (not to mention vegan cookbook collection). I have to remember that these books may have the opportunity to do more good in someone else’s hands than in my own. And, after all, I could always get another copy, if I needed to. So note to you, too: Let’s do this together. 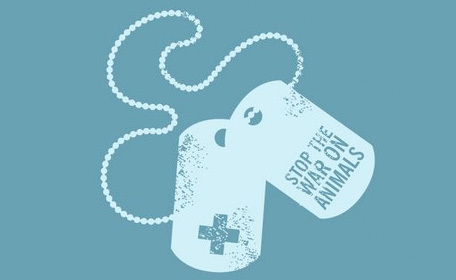 Donate a book or ten, knowing that you’re spreading compassion along the way, and informing the masses (or at least some dude who happens across your book) about the absolute importance of boycotting cruelty and speaking up for animals. Since we’re on the subject, another possibility for recycling and disseminating wise words is to follow in the footsteps of some great NYC activists and organize a “Vegan Book Swap.” This one, happening on April 16, is benefiting Woodstock Farm Animal Sanctuary. We’ve told you about similar book swaps in the past. We can’t get enough of this idea. There is so much good to be done when it comes to sharing books, knowledge, and — yep — ethical imperatives. That book is part of what made me be actually vegan when I was 17! (Before that I still ate baked goods and things like that.) But yeah, I second the library thing. I learned that the hard way. It's good to donate your books haphazardly if you just want to get rid of them and help your library raise some money... but if you actually want them in the collection you should ask if they can do it first. Sometimes it will be more effective just to give the book to someone you know will benefit from it.